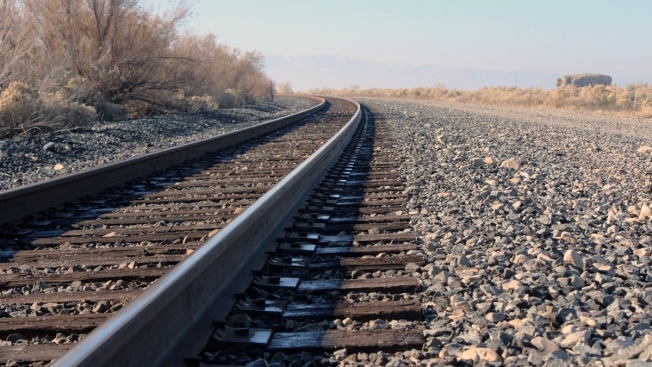 A stock image shows railroad tracks. The ACLU of Southern California filed suit against U.S. Immigration and Customs Enforcement and the U.S. Department of Homeland Security. The lawsuit alleges the agencies refused to fulfill a Freedom of Information Act request. The railroad police have a history of stopping, arresting and detaining people who are then transferred to ICE facilities, the lawsuit says. The ACLU of Southern California filed suit Wednesday against U.S. Immigration and Customs Enforcement and the U.S. Department of Homeland Security for allegedly refusing to fulfill a Freedom of Information Act request seeking information on a purported collaboration between ICE and Union Pacific Railroad police. According to the suit, filed in Los Angeles federal court, the railroad police have a history of stopping, arresting and detaining people who are then transferred to ICE facilities for deportation. In a statement, Union Pacific said protecting its property remains a priority regardless of the immigration status of any potential offender. "At Union Pacific, safety remains our highest priority," according to the statement. "Trespassing on railroad property is illegal and creates a hazard for the public as well as Union Pacific employees. Union Pacific works with local, state and federal law enforcement agencies to remove trespassers, without regard to immigration status of any kind, from its property in accordance with local ordinances and state law." The alleged collaboration is "often rooted in racial profiling in violation of constitutional rights" and can "separate families, harm communities, and prey upon people who are homeless," according to the American Civil Liberties Union Foundation of Southern California. "In many cases the individuals arrested by the officers are held beyond the time they otherwise would have been released just so they could be picked up by ICE -- a violation of the Fourth Amendment," the ACLU alleges. Also Wednesday, a coalition of community and civil rights organizations delivered a letter to Union Pacific demanding it end the alleged alliance with ICE. The letter contends that the alleges collaboration causes harm that the California Values Act, which ensures that police and sheriffs do not help ICE round up and deport immigrants in California, was enacted to prevent. 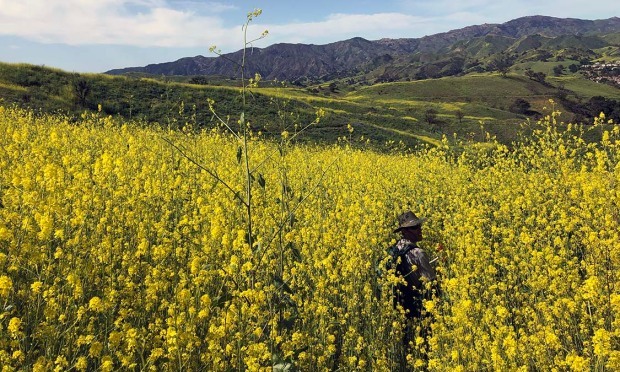 "Union Pacific is in the business of transporting goods and persons safely from place to place," said ACLU SoCal staff attorney Sameer Ahmed. "It should not be in the business of subjecting the most vulnerable members of our communities to intimidating interrogations, unlawful detentions, and the threat of deportation." The relationship between the railroad police and ICE officials has been shrouded in secrecy, the ACLU alleges. The FOIA request, originally filed last September, seeks information on the alleged collaboration. The suit was filed on behalf of the Immigrant Defenders Law Center, the Western State College of Law Immigration Clinic, Public Counsel, and the Esperanza Immigrant Rights Project. Both the letter and lawsuit detail instances of Union Pacific's alleged collaboration with ICE, including a January 2018 incident in which a man riding his bicycle home from work along the San Gabriel River Trail in El Monte was stopped by an armed Union Pacific Railroad Police officer and asked if he had "papeles" (papers, in Spanish) to work in the U.S. The man was held under a railroad bridge for about two hours until he could be picked up by ICE officers, according to the ACLU. And in February 2018, according to the civil rights organization, a homeless woman was riding her bike in the Van Nuys area outside of Union Pacific property when she was stopped by an armed railroad police officer, who held her for about two hours until ICE officers arrived and took her into custody. During that time, she maintains she was never read her rights under the Fifth Amendment to the U.S. Constitution. Other alleged incidents detailed in the documents occurred in Santa Ana, North Hollywood, Pacoima, and Whittier, according to the ACLU.